We wish our community a Happy New Year 2019! In 2019, we want to keep on wearing our ambitions bright on our sleeves. In case you missed reading about our 2019 roadmap, check out how our founder, Stephen, articulates the road ahead for us. Today, we’re excited to share our first initiative of the new year. What is the Harmony Community Badge? At Harmony, we value each and every person in our community. With the Harmony Community Badge program, we want to create a platform to showcase our diverse community members. 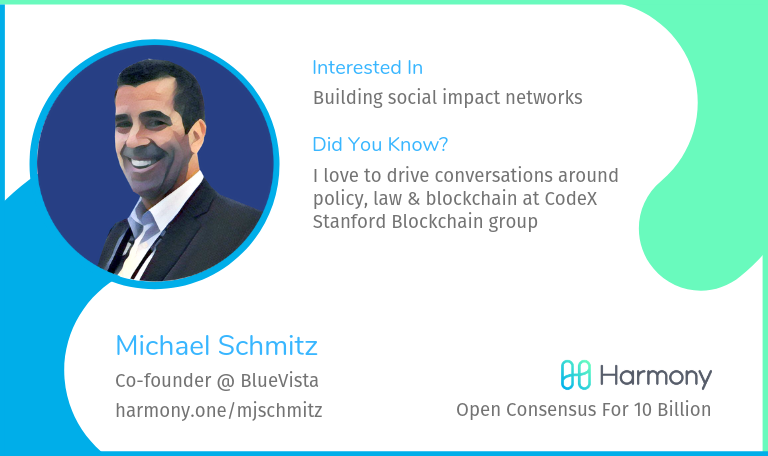 A Harmony community badge is simply a unique persona, an identity, that represents a Harmony community member — who they are, what they’re excited about, and a sample of some of the cool things they are pursuing. We see this as one of the many possible ways for the community to get to know one another, and to share their visions and aspirations. By virtue of this badge, they are also given a unique identity within the Harmony community, something the Harmony team cares a lot about. Over time, the Harmony Community badge will help us to engage community members based on their personal interests. Additionally, each community member who claims a badge will get a unique identity on harmony.one. Yes! 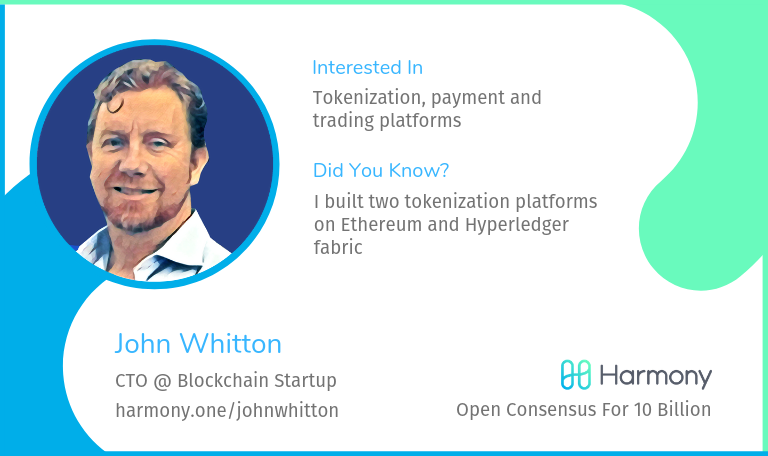 We want to link your identity to the official Harmony.one network! How do you get a Harmony Community Badge? A few weeks ago, we launched our official Community Survey. We got an overwhelming response from the community. Since then, we have started reaching out to those who filled the survey to get to know them better and create their unique community badge. We’re having some fun creating these community badges, so now you can see who’s out there, too. You can check out the first few community badges we’re publishing today. Step 1: Take the Harmony Community Survey. It should take you less than 60 seconds to share more about yourself. We want to encourage quality participation and we want to help the community get to know one another. Use this opportunity to put yourself out there, because you never know what kind of partnerships will emerge! Step 2: Send a message to our community manager, Gavin, on Telegram (Telegram ID: @gavinly) to request a badge. 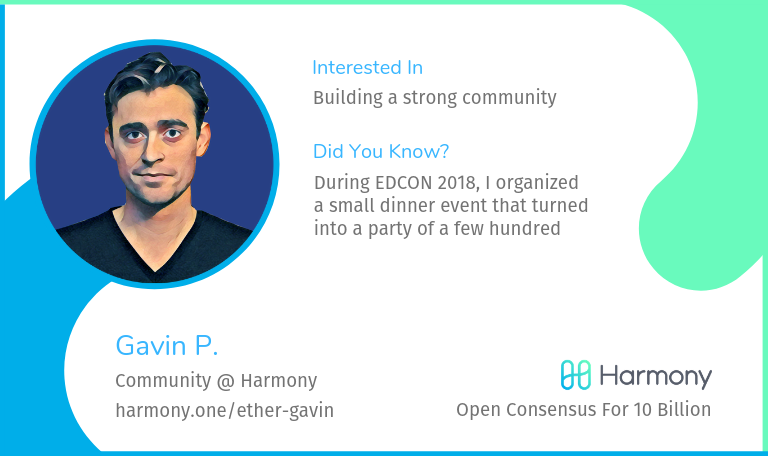 Gavin will help you get your badge and your unique Harmony.one url. What happens after you have your Community badge? You share it with the rest of the community, and Harmony will do the same! A community is as strong as the strength of the relationships between its members. 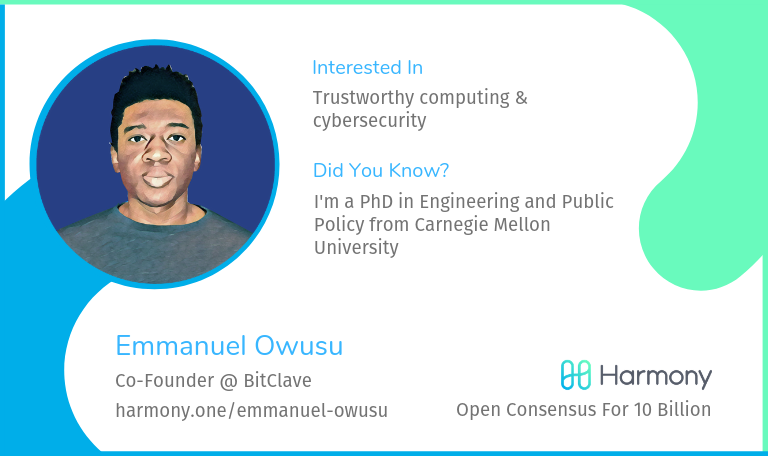 We want your badge and your unique harmony.one url to represent who you are, what you care about and how do you want to contribute to the community. We want our community to build relationships with each other and create value for one and all! We’re going to share these community badges across our social channels. You should do the same — it’s a good opportunity to share what you’re up to on Twitter, or your blog, Github, or whatever it is that you’re proud of. Go, claim your community badge! Oh yeah, and have you said hi on our official forum, yet? Here’s the link: https://talk.harmony.one. Don’t wait, sign up with us now! Check out our first few community badges below.